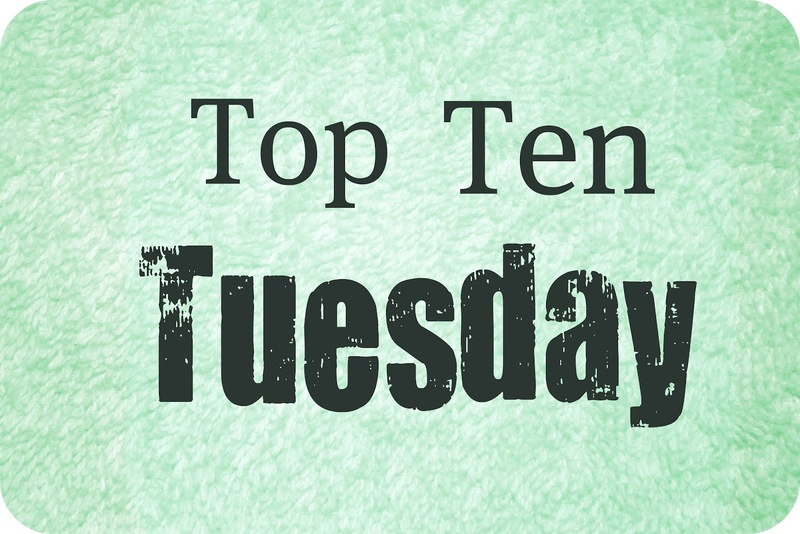 The Broke and the Bookish : Top Ten Books Bridget Wants For Her Birthday! Top Ten Books Bridget Wants For Her Birthday! 1. Rebecca – Daphne du Maurier. I’m so intrigued by the first line of this book and I can’t wait to read it. Plus, it’s on my Classics Club list! 2. The Handmaid’s Tale – Margaret Atwood. I’ve heard this one recommended quite a few times for people who like dystopian novels, which I happen to love. I need to add this one to my collection. 3. The Immortal Life of Henrietta Lacks – Rebecca Skloot. I’m not a huge non-fiction fan, but I’ve heard nothing but good things about this book and I’m really excited to read it. 4. Animal Farm – George Orwell. I read this back in middle school and was decently freaked out by it, but I don’t remember a whole lot of it. I love 1984 though, so I think it’s time to give it another try. 5. A Clockwork Orange – Anthony Burgess. I’ve heard quite a bit about this one, and like I’ve already mentioned, I love dystopian novels, so I’m excited to read this one. 6. Never Let Me Go – Kazuo Ishiguro. A few of my friends who have recommended this to me, and though I have no idea what it’s about, I’m looking forward to reading it. 7. We – Yevgeny Zamyatin. This one was recommended to me AGES ago by a reader over at my blog. I think about it every once in a while but never when I’m in a bookstore, so I figure I should ask for it while I can! 8. The Long Walk – Stephen King. The premise of this one is deeply disturbing, but as with any Stephen King book, I’m in. 9. Lady Chatterley’s Lover – D. H. Lawrence. This is another one on my Classics Club list. I like old-timey romances so I’m interested in reading this one. 10. The Eye of the World – Robert Jordan. This is the first book of the Wheel of Time series, which has been recommended to me by two people who I respect immensely. I’m slightly intimidated by the size and complexity of the series, but I’m hoping to get through at least half of it in 2013. A Clockwork Orange! Glad to see it on the list, it's a great read! Happy early birthday, mine was on Sunday, I turned 19. Great list, I've been meaning to read some of those. I really disliked a Handmaid`s Tale. Not I get angry every time I think about it. It`s good, but angering. I loved Animal Farm- such a good book. I hope you get it, reread it and love it!! Happy early Birthday, Bridget! Mine was actually on Saturday. :) I love how most of the books on your list are found on my library's Classic shelves. Perhaps I should revisit those shelves on books that I either read and didn't care for in high school or those I didn't read but sounded interesting. Enjoy your birthday! Oooh, that's a great topic! Rebecca! I love that book so much. After you read the book, you have to watch the Laurence Olivier film version and the one with Darcy's sister. They're both so good. Haven't heard most on your list but I'll check it out! So happy to finally join TT! Happy birthday for Thursday. My birthday was last month and I was exactly the same though much less literary in my choices. Still need to read Rebecca though I like the Laurence Olivier version (and the Mitchell and Webb parody). Also apologies for being on the Mister Linky twice - fumble fingers on my phone meant I posted last week's first. It should be the second, favourite Harry Potter moments. The Immortal Life of Henrietta Lacks is simply amazing. I absolutely loved it. Great list! What a great list you have here! What a great list, I hope you get all of them! :-) Happy Birthday! I know I'm voicing a very unpopular opinion, but I really, really disliked Eye of the World. I read it at a time when I hadn't learned to DNF yet and yeah, it just wasn't for me. I do however fully support Rebecca, that book is AMAZING! Though I am a mostly YA kind of girl, I love seeing the classics on anyone's shelf. I've yet to read Animal Farm but 1984 (also by George Orwell) I have started on. It's AMAZING in a "ouch, there goes my brain" kind of way. :) Lovely top ten! Great topic! The Handmaid's Tale is a book that I have meant to read for years but never gotten around to it. I love non-fiction, mainly political analysis, and The Immortal Life Of Henrietta Lacks is such an interesting concept. The idea that these cells are being used for research and profit while the family struggles is thought provoking. There are so many of my favourite books on here - Rebecca and The Handmaid's Tale are great classics, although completely different. The latter is a dystopian type thing that I really need to read - I first read it when I was 14 and I'm sure a lot of it went WAAAY over my head! If I had to choose just ONE, I'd definitely go for Never Let Me Go though. I read it last year and fell completely in love. I haven't seen the film because I'm not a massive fan of Keira Knightley but the book... wow. love the list. def have to check some of these out. The Immortal Life of Henrietta Lacks is supposed to be brilliant. I feel like every dinner party I went to last year someone talked about it! Rebecca is amazing, and I think any fan of dystopian novels will like The Handmaid's Tale . Happy Early Birthday! Here's my TTT this week. Top 10 fictional crushes of all time! Great list! There is a few on here I want to read also! One of the classes at my college read The Immortal Life of Henrietta Lacks, and that's how I heard of it. I love it when people submit lists of books they like so I can choose a gift. That would be a great topic for a Top Ten in conjuction with your Secret Santa. Oh, yes, Rebecca is one of my favorites. I always seem to jump in on freebie days. :) Anyway, today was a good chance to do a topic I've been wanting to for a while: Top 10 Forgotten Authors I've Rediscovered. I can't recommend The Handmaid's Tale and The Long Walk enough. They are both PHENOMENAL. Uhm, sorry for the three linkys! Each time after I refreshed the page it took the linky away, I thought my computer was acting up. My bad! But happy birthday! I say treat yourself to The Handmaiden's Tale...it's a great read! 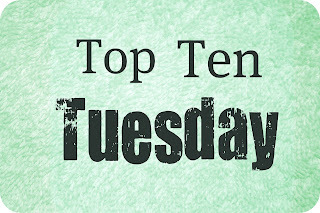 This week I chose Top Ten Mercedes Lackey characters... it was hard to pick just 10! Rebecca is so freaking good. I actually named one of my dogs Daphne, after Daphne DuMaurier. I hope you get it for your birthday, and that you like it. Those are some classy choices! I approve! The Immortal Life of Henrietta Lacks was definitely worth reading. I haven't read any of the others, but I've heard good things about a few of them. Have a good birthday! Just started doing the Top Ten Tuesday meme, and I have to say that choosing my own topic my first week was hard. I kept changing my mind. I eventually picked Top Ten Worst Book-to-Movie Adaptations. I love Rebecca! It is such a great book. I hope you get it for your birthday. Happy Birthday! My birthday is long past, so I did books that I want for Christmas. Nice to see some classics on your list! I made a Christmas list for my top ten list this week and also included "The Handmaid's Tale." I've heard a lot of awesome things about it, so I think it is definitely worth being on a wishlist. I've only read two books on the list but the both that I read are great. The Immortal Life of Henrietta Lacks is so good! I'm not a nonfiction fan either, but Rebecca Skloot writes so well and makes the story so compelling to read! Also, Never Let Me Go by Kazuo Ishiguro is such a great book! It's written simply but delivers a powerful message. I just finished reading the Immortal Life of Henrietta Lacks and it is so good. She writes the story so that you get the history and such, but it feels like you are getting a real story, like a fiction novel. I highly recommend it! I just started reading Eye of the World! After hearing so much about the series, and one of my favorite authors finishing the series, I decided I needed to read it. I got the hardbound version from the library. Totally intimidating. Rebecca and The Handmaid's Tale are both fantastic books and I hope you'll be able to read them eventually! AS far as your list goes, I've only read two of them. I found The Handmaid’s Tale to be a bit slow in places which made it hard for me to get into it. I love the Wheel of Time series. The Eye of the World starts off a bit slow as the world is built but it quickly intensifies and keeps on going from there. I highly recommend that one. Three of these I would highly recommend are : Animal Farm, A Clockwork Orange, and Never Let Me Go. Enjoy your birthday and I hope you receive some of these great books as gifts and get the time to read them as well. Happy birthday Bridget! :D Have a blast! I've read several on your list (Animal Farm, Rebecca, Handmaid's Tale, Never Let Me Go). Those I all loved. A Clockwork Orange is a very complicated book. I feel the same way about it as the Vonnegut books...I didn't really get it. I've seen the film multiple, multiple times (thanks film classes and Kubrick-obsessed professor) so am super familiar with the story. You say you like dystopia. I like dystopia, too. A Clockwork Orange IS dystopia...but not like other dystopia. It's not 1984. Or Brave New World. Or The Handmaid's Tale. Or any of the profusion of YA dystopian novels that are saturating the market (Hunger Games, Divergent, Matched, etc). So...in conclusion. Worth a read? Yes. Birthday gift? Maybe...depends on your level of expectation. It might end up being a wasted birthday gift, it might not. I saw someone above who really liked it. Handmaid's Tale will rock your world. And that's a great thing. We is exciting from the perspective of the unreliable narrator. I've been meaning to revisit it. Clockwork Orange is fascinating linguistically as well as philosophically, but harsh, like Handmaid's Tale. I read Eye of the World and never read any of the others, though I'm a huge fantasy fan. Maybe consider The Chronicles of Thomas Covenant, the Unbeliever, which fits with your other choices a bit better but is still a classic fantasy series. Hope you get some good books! Top Ten Books Daisy's Pining for in 2013! A Cocktail & Conversation -- Thankfulness! Kelly reviews "The Adoration of Jenna Fox"